Today was our last day in Istanbul I wish we had more time to explore a little more, but alas all good things must come to an end… No time to sulk, though, we still had to make a quick stop at Dolmabace Palace and then catch the ferry to the Princes Islands! After eating our usual breakfast, we headed down towards Dolmabace Palace. Now that we’d been there for a couple of days, we finally figured out the most efficient way to travel, the metro! In retrospect, I would have used the metro more liberally as it is so convenient. But then again, there is a certain adventure in walking all over the place and discovering random things along the way. Dolmabace Mosque was along the way so we stopped by really quick to check it out; it’s one of the more famous landmarks along the river and a little more modern looking. So back on the metro we hopped, towards the ferry station at Eminonu. We waited there for a little while and then got on the ferry. It was kinda confusing as to which ferry we were supposed to take, but a nice recently married couple who spoke English gave us the run-down as to which ferry to take, and even which of the Islands would be best to visit. I think we ended up going to the second biggest one but I can’t remember. On the ferry there was a nice gentleman who I later found out was a retired Colonel in the Turkish Army, and we had a nice chat about random things; he was also interested in photography so we talked about that most of the time. On the way, there were many seagulls hovering around the ferry and people would throw pieces of bread to them; some of the more talented seagulls would catch the bread in mid air! 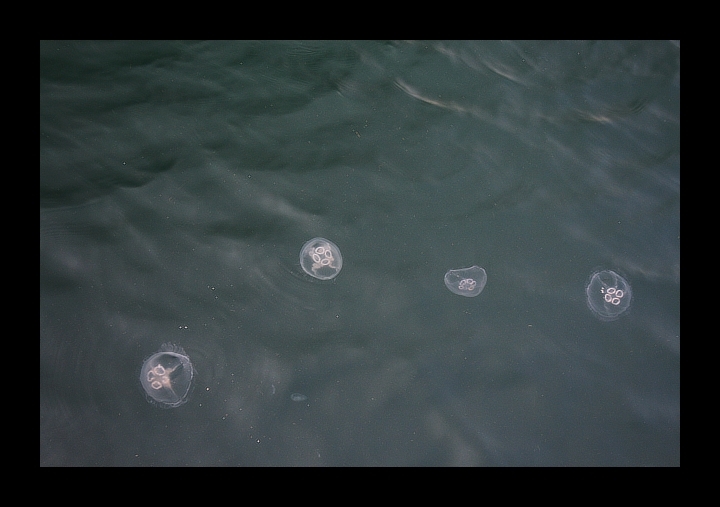 When we stopped at the Islands, I noticed there were quite a few jellyfish around the harbor. Oh but every cloud has a silver lining they say! On the way back, as we were getting closer to Eminonu, we were treated to a magnificent sunset behind Sultahnahmet district. 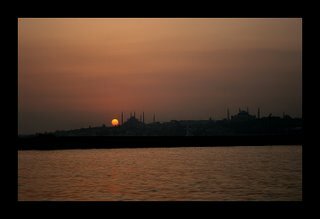 The sky was red, the sun was round bright, and the silhouette of the Blue Mosque and Haghia Sophia made for quite a dramatic picture! In the end, the trip was totally worth the few pictures I could take of this splendid scene. 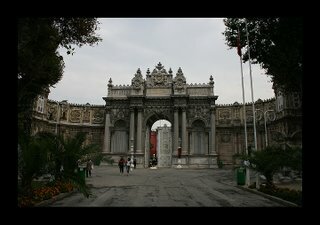 We had only a few hours left of the day as we arrived in Eminonu but we really wanted to go towards Taksim and see what Istiklal Caddesi (Istiklal Avenue) was all about, so we did just that. Istiklal Caddesi was just past Galata Tower, and you can take a little underground train up the hill towards the near end of the street. Had we known this, we would have taken this same train up the hill first and then walked downhill towards Galata Tower when we went there a few days ago. Well, good for future reference. As we emerged out of the train station and into Istiklal Caddesi, we heard some street musicians playing some really nice Turkish music, consisting of three guys: one on the doumbek, one on a guitar, and one on a hammered dulcimer. They were really something, I can’t describe the music but a lot of people were amazed with the intoxicating rhythm of the doumbek and complicated melodies of the dulcimer. We contemplated purchasing their CD and figured we could do that when we came back, but later on when we did come back they were gone… If anybody reading this knows who they are, please let me know!!! Istiklal Caddesi, believe it or not, was JUST LIKE Motomachi in Yokohama, Japan. Trendy shops lining the streets, throngs of people, the atmosphere reminded me of home! We went all the way up to Taskim Square and turned around to come back as it was getting late; on the way we had some baked potato and some kind of a crepe concoction, both of which were quite delicious. The train station had closed by then, so we just walked down the hill towards Kadikoy. It was late, and very quiet, and we were in small streets, but for some reason it seemed quite safe. On the way home we ate a light dinner (Chicken Doner Sandwich!) and that was the end of the day. Tomorrow, we are off to Athens. 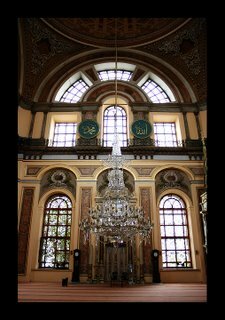 I had looked at a guidebook in detail before visiting Istanbul and had a decent idea about the layout of the area, but I didn’t have a decent book on Athens, so it will be interesting to figure out what to do once we get there. Regardless, I’m sure it will be a good time, Athens has such great history!